Finally I have gotten back in the kitchen and did some baking. I have been eyeing this recipe and have been wanting to try it out. You know how much I love a good pound cake. Recently, I won a Kitchen Aid mixer in my choice of color from a giveaway. I have been trying for years to win one of these and have entered numerous giveaways to try and win one. Imagine my surprise when I was notified that I won! I already had one but I have had it for quite a few years but I wanted one in my favorite color, Yellow!! I felt like it was Christmas when I opened the box. I could barely contain my excitement. Can you blame me....look how bright and cheerful it is! Pumpkin and Pound Cakes are two of my favorite things. Naturally, they would pair well together. The house smelled so good while this was baking. I love fall! Mix powdered sugar with 2-3 tablespoons of milk. You may need to add more milk if too thick. Add vanilla and stir with a whisk until smooth. Pour or spoon over your cake. Preheat your oven to 350 degrees. Grease and flour a tube pan. I use shortening and then add flour. 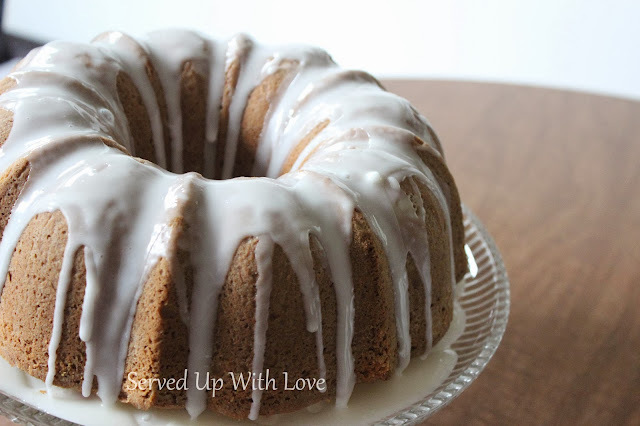 I have had a lot of pound cakes stick and this works wonders. Stir together the flour, baking soda, cinnamon, nutmeg, and salt. 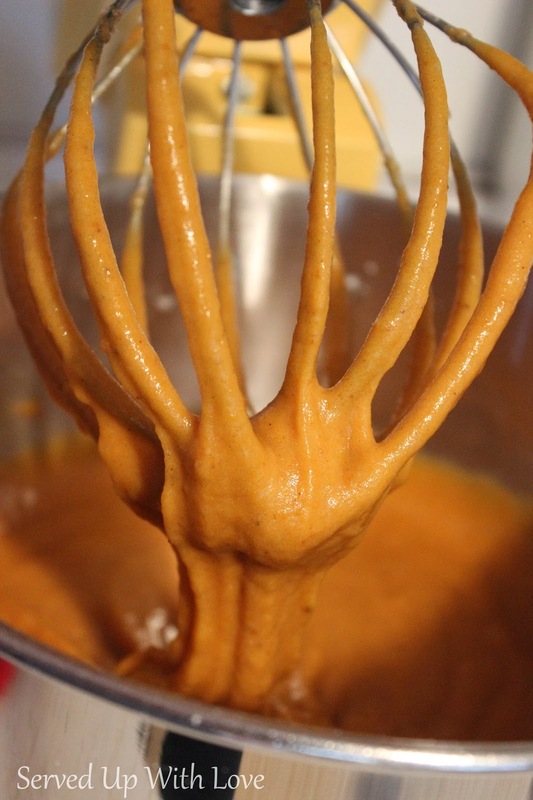 In a seperate bowl whisk together your sugar, oil, eggs, and pumpkin. 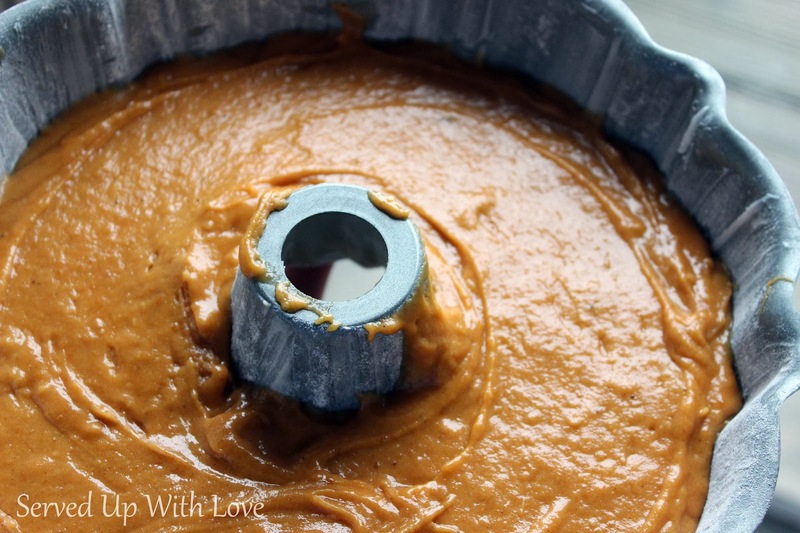 Fold in the dry ingredients and stir until combined. Pour into your pan and bake for 1 hour, or until a toothpick comes out clean. Enjoy! 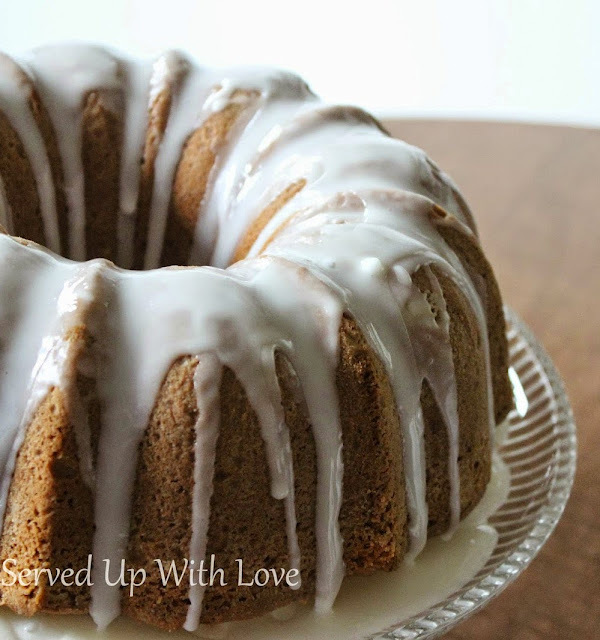 I was thinking about making the Pumpkin pound cake but I noticed it only called 4 3 eggs. DON'T pound cakes use about 6 eggs In order 2 make them dense? Three eggs is what's usually in a regular cake.